Saudi Arabia and its allies said early Monday they had decided to extend by 48 hours the deadline for Qatar to accept their list of demands to lift a de facto blockade.With the deadline expiring at midnight Sunday, Saudi Arabia, the United Arab Emirates, Bahrain and Egypt agreed to give Doha an extension to respond positively to their demands. The move came after a request by the Kuwaiti emir who is acting as mediator in the Gulf crisis, according to a joint statement issued by the official Saudi SPA news agency. The Kuwaiti government had requested the extension following Qatar’s announcement that it was due to hand over its response to the emir, Sheikh Sabah al-Ahmad Al-Sabah, on Monday. 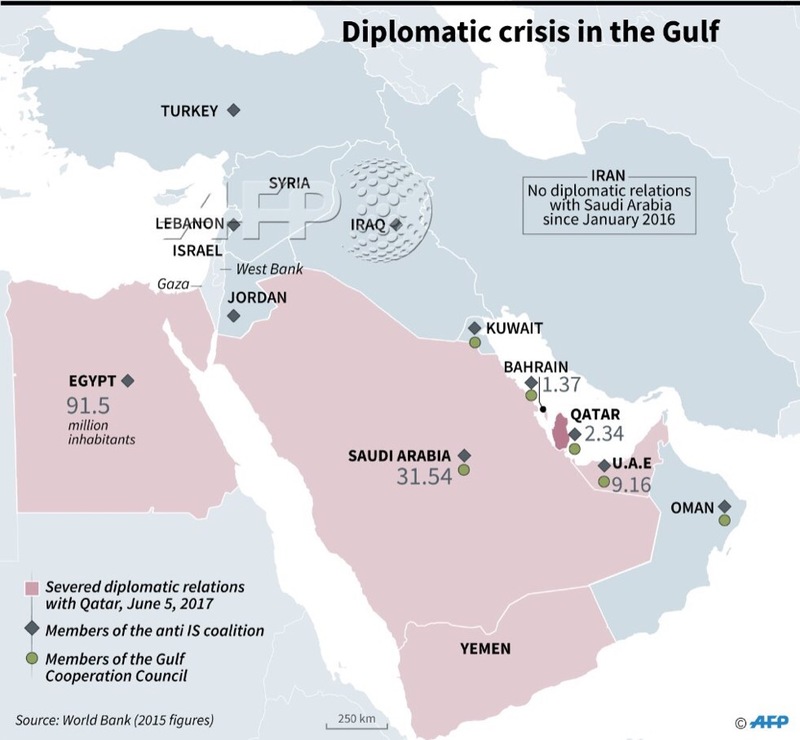 Saudi Arabia, the United Arab Emirates, Bahrain and Egypt announced on June 5 they were severing ties with their Gulf neighbour, sparking the worst diplomatic crisis to hit the region in decades. They accused Doha of supporting extremism and of being too close to regional arch-rival Iran, which Qatar has strongly denied. On June 22 they presented a list of 13 demands and gave Doha 10 days to comply. Riyadh’s demands include ending Doha’s support for the Muslim Brotherhood, the closure of Al-Jazeera television, a downgrade of diplomatic ties with Iran and the shutdown of a Turkish military base in the emirate. The four countries indicated in their statement that they would study and evaluate Qatar’s response before delivering their own reply to Kuwait. Doha has so far indicated that it rejects the demands. “The list of demands is made to be rejected,” Qatar’s Foreign Minister Sheikh Mohammed bin Abdulrahman Al-Thani said Saturday in Rome.